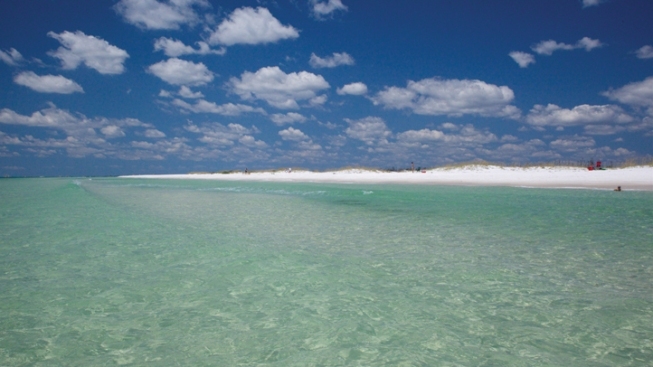 You'll love Pensacola's white sand beaches and emerald green waters. The following content is created in consultation with Visit Pensacola. It does not reflect the work or opinions of NBC Chicago's editorial staff. To learn more, head to VisitPenscola.com. It's been a tough winter for Chicago area residents, even by our own cold weather standards. With polar vortex temperatures, arctic winds and foot upon foot of snow, everything from morning commutes to date night have been threatened. Well, no more! Because now you can kickstart your summer with a warm weather getaway to Pensacola, FL, where sugar-white beaches, emerald green waters and relaxing, al fresco dinners are all part of the local lifestyle. Simply head over to NBC Chicago's Facebook page to enter the Explore Pensacola Sweepstakes for your chance to win this memorable getaway. By entering between now and March 23, you'll be eligible to receive complimentary airfare, three nights accommodations, historic tours, and more! There is never a shortage of things to see and do in Pensacola. The destination dates back to 1559 (and was home to the first European settlement in the United States), and today its rich history is preserved by guides reenacting the old way of life through its charming downtown. Stroll through furnished period homes, check out the preserved navel forts protecting the harbor and take in the magnificent ocean views from the top of the Pensacola Lighthouse. Wildlife is ripe for exploring, too. Laying claim to the county's largest tract of protected shoreline and Florida's only natural bluffs, it's easy to fall in love with the natural surrounding. Enjoy going green, either from inside a kayak during guided eco tours, on the back of a bike along a nature trail or while snorkeling for starfish. And let's not forget the food. Home to five celebrity chefs, Pensacola's culinary options are as diverse as its history. From waterfront eateries to elegant dining, you'll find it all. Dishes are equally diverse, meaning you can indulge in everything from southern barbecue and Cajun specialties to fresh local seafood and succulent steaks. Direct flights and non-stop flights from O'Hare and Midway make traveling to the Pensacola Bay Area convenient from Chicago, and for those wanting an extended road trip, the drive can be done in a day as Pensacola is the first beach in Florida that greets Midwestern travelers. For your chance to win a romantic getaway for two to this charming destination, visit NBC Chicago on Facebook to enter. And to learn more about what Pensacola has to offer, check out VisitPenscola.com.